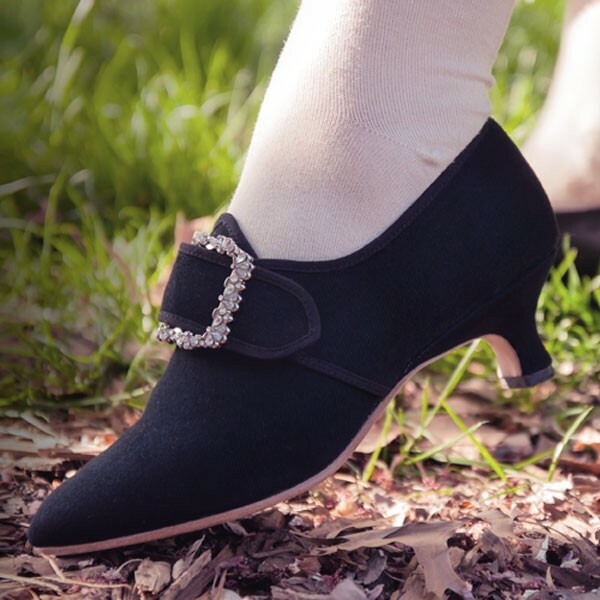 Dunmore 18th century shoes are historic footwear perfection for the Revolutionary War period, with the ideal material, silhouette, and heel to pair with your late 18th century gown. Developed with input from Colonial Williamsburg, Dunmore is accurate for c. 1770 - 1790s, with a 2 inch / 5.08 cm Italian heel crafted after an extant shoe, a tapered toe and soft toe box, and latchet closure. Dunmore 18th century shoes are made of black wool, lined in white linen, with our historical shoemaker stamp on the insole. 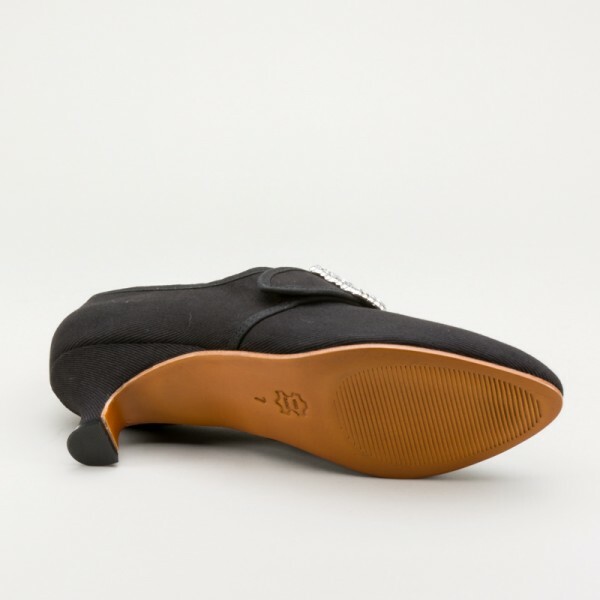 Dunmores do not come with 18th century shoe buckles. You may find our complete selection of 18th century shoe buckles in the accessories section. Please see our page on how to fit your buckles, or watch our shoe buckle fitting video for more information. Design Designed from original 1770s footwear in museum collections, in collaboration with Colonial Williamsburg. 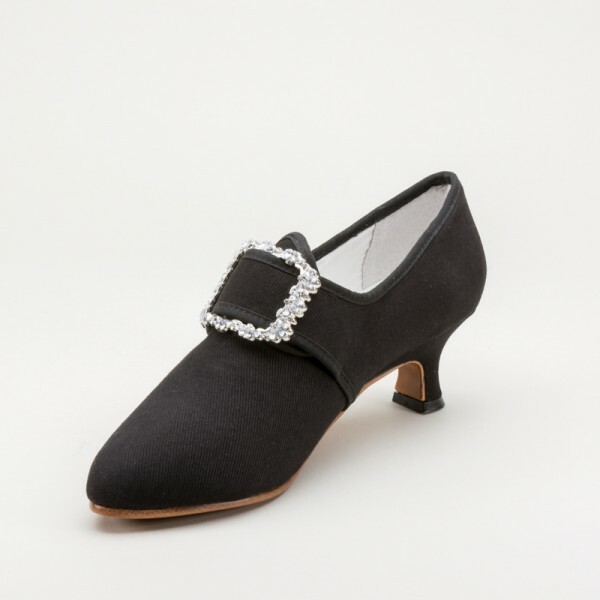 "Dunmore" 18th Century Shoes (Black Wool)(1770-1790) has an average rating of 5/5 from 5 reviews.